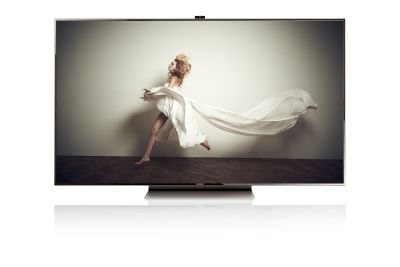 Samsung is quoting from the fourth quarter of 2012 GfK per reveal, the current demand for televisions sized 60 inches and above increased. However, television (TV) 32-inch size is still to be excellent. "Trends TV needs with a larger screen continues to increase globally, although the 32-inch TV was a prima donna" said Product Marketing Manager Nokia Indonesia Bernard Ang in 'Reframing TV Technology' at Grand Indonesia. In his presentation, Bernard revealed that the size of the TV with a range of 40 to 49 inches to grow more than 34 percent, then for the range of 50 to 59-inch size has increased more than 75 percent. As for the size of 60 inches to over 461 percent growth. Sony Computer Entertainment Hong Kong Limited (SCEH) today announced computer entertainment system PlayStation 3 (PS3) version (Color Charcoal Black / White Classic), featuring a new design and streamlined shape, to be present in Indonesia starting February 9, 2013. 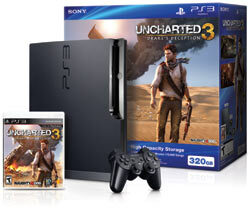 Its internal architecture design thoroughly redesigned, the internal volume and weight of the new PS3 is reduced by more than half compared to the first PS3 with 60GB HDD output, and reduced weight respectively about 25% and 20% compared to the current PS3. By adopting the sliding cover disc, retaining the characteristics of the new PS3 slim body with a simple arch, is very suitable to be placed in various places in the house and allows users to enjoy a variety of entertainment content. Most of today's gamers may still think that LEGO always been synonymous with the world of children. Departing from the idea of ​​being "narrow" here, not a few gamers who are not interested and discouraged to try out a variety LEGO game series that often arise as an adaptation of the movie or popular comics. In fact? 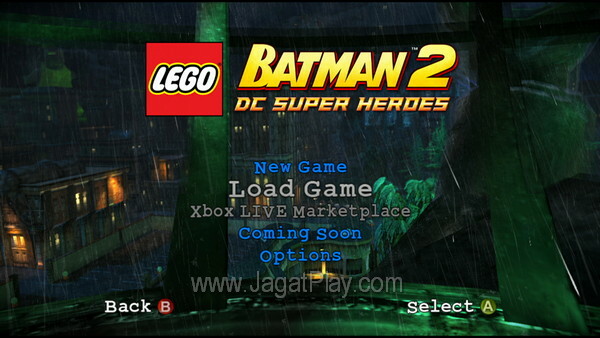 Although appearing in the visualization and impress a cute childish, a LEGO game series always brings a unique quality of the game, fresh, and addictive, the things that are hard to find in games today. What's more? 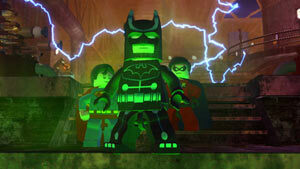 Latest LEGO game series - LEGO Batman 2 - DC Super Heroes bring this franchise a higher level of quality.